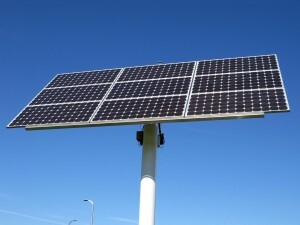 A solar panel (photovoltaic module or PV/photovoltaic panel) is a packaged interconnected assembly of solar cells, also known as photovoltaic cells. The solar panel can be used as a component of a larger photovoltaic system (Array) to generate and supply electricity in commercial and residential applications. 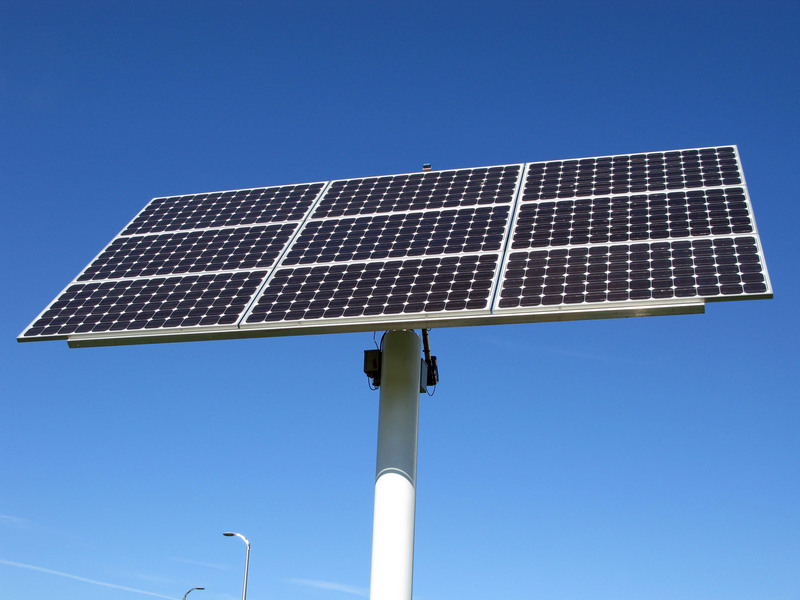 Because a single solar panel can only produce a limited amount of power, many installations contain several panels. A photovoltaic system typically includes an array of solar panels, an inverter, may contain a battery and interconnection wiring. Solar panels use light energy (photons) from the sun to generate electricity through the photovoltaic effect. The structural (load carrying) member of a module can either be the top layer or the back layer. The majority of modules use wafer-based crystalline silicon cells or thin-film cells based on cadmium telluride or silicon. The conducting wires that take the current off the panels may contain silver, copper or other conductive (but generally not magnetic) transition metals. Electrical connections are made in series to achieve a desired output voltage and/or in parallel to provide a desired amount of current source capability. Aside from sourcing good value imported panels, EAST is experimenting assembling its own module assemblies with good quality imported cells, based on an ultra-light tropical focused system targetting minimum expenditures using local available components for the most. Successful prototypes are already in service.